For patients who spend long stretches of time in bed, pressure sores can develop without the use of a proper pressure relieving mattress. 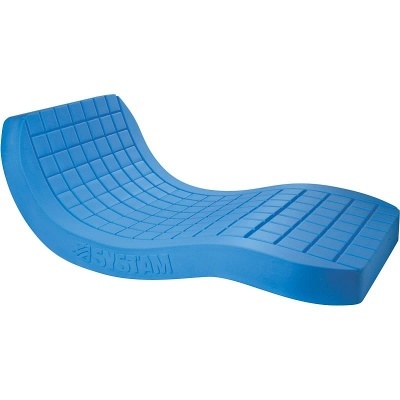 The Systam Viscoflex Bariatric Pressure Relief Memory Foam Mattress uses multiple layers of viscoelastic and memory foam to prevent these sores, making it suitable for use by bariatric patients at high to very high risk of developing pressure ulcers. This is a reinforced version of the Systam Viscoflex Mattress, suitable for bariatric patients up to 270kg (42.5 stone) with a 1200mm width. While many pressure relief mattresses are suited to only a certain type of patient, the Visco Foam used in this mattress automatically moulds to the shape of the user's body, providing a personalised pressure relief experience. This foam is specially designed to provide excellent pressure distribution, reducing trans-cutaneous pressure while improving circulation. This memory foam effect improves the overall comfort of the mattress, while boosting its pressure relieving properties. Since the core of this mattress combines a number of different pressure relieving materials, it provides perfect adhesion, which thereby increases the longevity of the mattress. This adhesion means that over time this mattress will not split, won't require any glues or solvents, and will provide perfect adherence of the two materials for guaranteed long-term pressure relief. 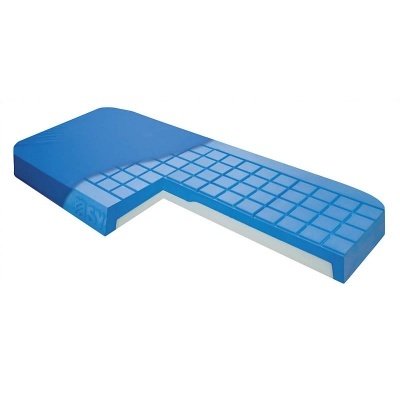 This version of the Viscoflex Pressure Relief Mattress has been specially reinforced to be suitable for bariatric users. With a weight capacity of up to 270kg (42.5 stone), this mattress has extra pressure relieving qualities, enabling it to withstand a greater deal of pressure. An increased width of 1200mm allows it to fit most bariatric beds, providing a useful tool for care homes and hospitals.